We are all familiar with famous huge errors in economics, such as those of Karl Marx, errors that ultimately create vast human suffering. But there are countless small errors that no one pays much attention to when they are published. They pass unnoticed, often gaining acceptance by default, until a large policy issue emerges that can use that idea to bolster its argument. Just such a scenario was much in evidence a few weeks ago with the release of Robert Shireman’s paper “Perils in the Provision of Trust Goods” by the Center for American Progress. Shireman was previously an official in the Obama Department of Education and has been a front man in the Obama administration’s campaign against for-profit higher education. In his paper, he argues that nonprofit schools are more likely to treat their students fairly than are profit-seeking schools. He draws heavily on a 1980 Yale Law Journal paper, “The Role of Nonprofit Enterprise,” by the distinguished lawyer and economist Henry Hansmann of the Yale Law School. In his paper, Hansmann introduced the concept of the “non-distribution constraint” as a principal reason why the not-for-profit organizational form is generally selected for the provision of certain goods, like education, rather than for-profit companies. 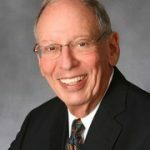 Hansmann’s main argument is that charitably inclined folks are willing to entrust money to non-profits because nonprofits must follow the “non-distribution constraint,” which forbids personal benefits beyond some “reasonable” remuneration for the managers, including, in the case of schools, boards of trustees and administrators. This analysis applies even more strongly to government-owned institutions. The non-distribution constraint, Hansmann argues, gives non-profit managers better motivation to spend the organization’s funds on its stated mission rather than on personal benefits. In contrast, the argument goes, for-profit enterprises motivate managers to maximize profits (all going to the owners) and disregard other interests, like those of the students in colleges. This analysis is wrong in two fundamental ways. First of all, it cannot be demonstrated empirically that for-profit educational enterprises perform worse on various measures than nonprofits. Efforts to show this disparity suffer from all manner of statistical errors, such as directly comparing the test results and loan-repayment rates of non-profit schools, where higher ranked and wealthier students enroll, to those of for-profits, which mostly cater to weaker and poorer students. More significantly, however, the argument is wrong because it totally overlooks the pressures for efficiency and responsiveness to consumer demand that exist in any competitive industry. And proprietary firms inevitably dominate competitive industries, while competitive forces will, for reasons to be shown below, always be weak in an industry dominated by not-for-profit firms. The weakest part of Hansmann’s theory, much exaggerated by Shireman, is that the baleful quest for profits is absent in the nonprofit sector. This is a hallowed and egregious myth. Human nature does not change with the legal structure of the employing organization. Managers of non-profit organizations are no less interested in maximizing personal utility than are managers of for-profit firms. But the form of these gains will differ in the two kinds of organizations. Can anyone believe that light teaching loads, generous research leaves, tenure, high salaries, political correctness and so on represent something other than “profits” to faculties? Calling it an expense rather than a distribution of profits does not change the underlying reality; it merely tricks the uninformed. Tenured faculties (and to a growing extent bureaucratic administrators) have long been the “owners” of our universities and, as such, have long participated in the real profits, the non-distribution constraint notwithstanding. If an enterprise, whether for profit or nonprofit, survives over a period of time, it must be that it is covering all its costs. And since most schools survive for long periods, we also know that they cannot all be at the margin of survival, where one dollar less of revenue would spell bankruptcy. They must be realizing revenues (whether from taxes, tuition or gifts) well in excess of their real costs. Now the important thing to realize here is the connection between survival and what, for lack of a better word we will call “profit.” If there is none of this excess of revenues over costs—profit—the enterprise does not survive. So Shireman can shriek all he wants about the malignant influence of profits, but for the point he is trying to make, there is no such thing as a nonprofit organization. What there is, of course, is a well-designed system of obfuscating the distribution of these profits. Given that tenured professors have long enjoyed the protection of a cartel, it is impossible that they are not realizing supra-competitive returns. But a big difference between them and the shareholders of a corporation is that they usually cannot realize this above-market return in the form of greater take-home cash payments—the “non-distribution constraint” at work. Rather, their benefits are hidden in various in-kind payments, like light teaching loads, short office hours, luxurious faculty clubs, generous research leaves, tenure, and myriad other academic delights, all of which pass university accounting muster as “costs” of education. But the underlying reality of the matter refutes both Hansmann’s and Shireman’s notion that the nonprofit schools are different from the for-profit schools mainly because of the absence of “profits” in the former. But there is a significant difference in these two forms of organization that neither Hansmann or Shireman acknowledges. That is the absence of transferable property rights in the assets and stream of income of the nonprofit organizations. (Note the emphasis here is on the non-transferability of property rights, not their absence, since, as we have already seen, faculties and administrators do indeed possess certain constrained “property rights” in the institution.) Unlike the shareholder who can transfer a claim on corporate profits by selling shares, professors and administrators do not have that power. It is the transferability of property rights, not the access to profits, that explains much of the greater concern for efficiency and responsiveness to consumers in the for-profit sector. Therefore, if faculties or administrators are to enjoy any of the benefits that come from their protected positions (i.e., protected from competition), they must do it while they are alive and on the job. That is, they are not allowed to take this profit home with them or leave it to their heirs. To take advantage of their position as owners, they must take these funds in the form of something that looks like an academic expense. This explains most of the differences in behavior of participants in for-profit and nonprofit higher education and a lot about why higher education has become so expensive and its quality often so low. It is a far more robust theory than that advanced by Hansmann, and it reflects a reality light years away from Shireman’s dream world of altruistic academics.